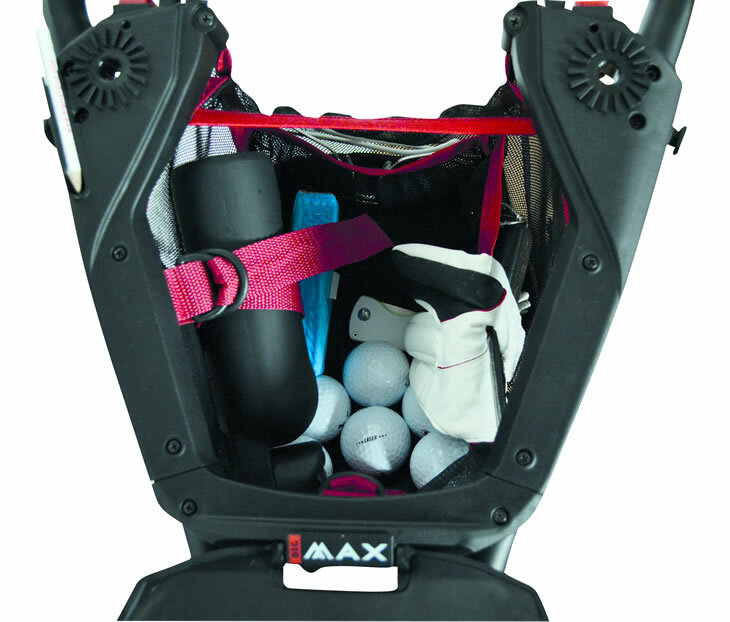 Big Max have been building pioneering golf trolleys for more almost 20 years. 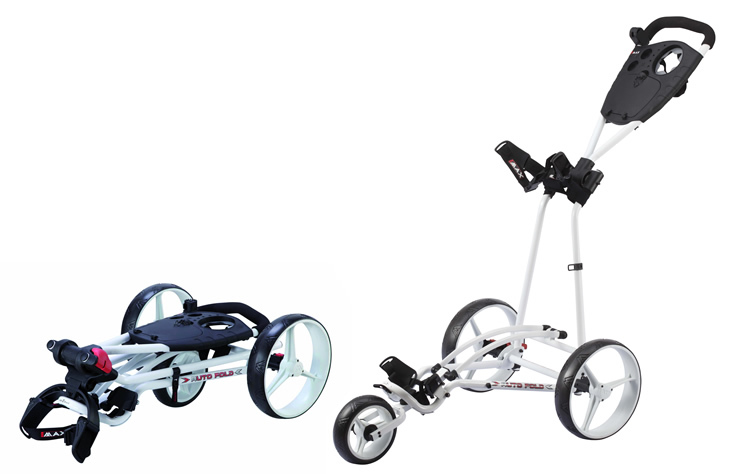 Their latest launch sees them add not one, but two advanced 3-wheel trolleys for 2014. First up, the Ti1000 Autofold trolley combines two of Big Max's most successful innovations: the design of Big Max's best-ever selling Ti1000 model and the unique folding mechanism of the Autofold trolley. With one simple hand movement the Ti1000 Autofold trolley collapses, with the front wheel automatically tucking under the body of the trolley. The Auto-Fix mechanism clicks the trolley together in a compact size, allowing it to be easily lifted or stored after a round. The trolley itself weights just 7.6kg and will fit any bag, from stand bags to cart bags to Tour bags. It is available in three colour combinations of black, black/lime and white and carries an RRP of £149.99. 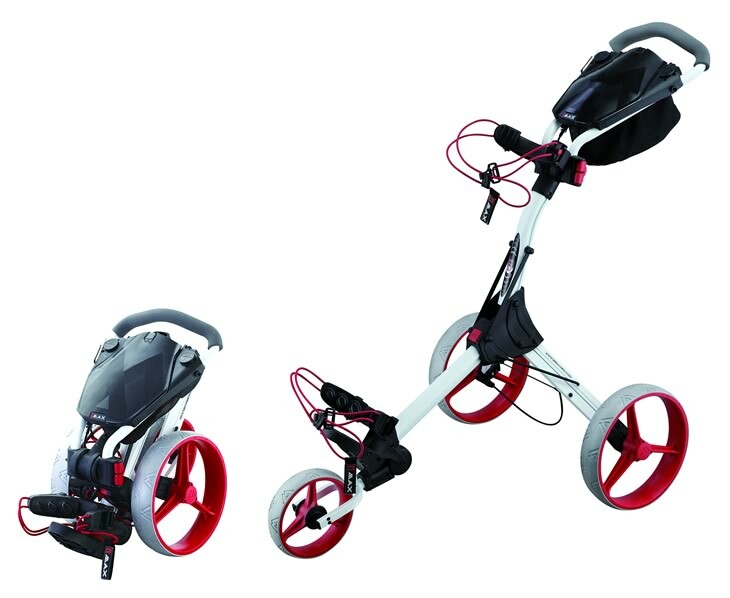 The second new Big Max trolley is the IQ+. As the name suggests, it is one of the company's most advanced push trolleys and Big Max say "there isn't an easier or more compact 3-wheel trolley to stow". Based on the design of the original IQ trolley, the IQ+ stands just 61cm x 45cm x 38cm when folded and will fit easily in almost any car boot. Along with its own "one shake" unfolding mechanism and Quick Lok connections, the IQ+ features a sturdy design suited to carry even the heaviest of Tour bags. It also features a easily accessible parking brake allowing you to stop the trolley even if you are on a hill. Not content with just carrying your clubs, the IQ+ also has plenty of storage space for anything you may need to carry during your round. The large organiser panel has been improved and a spacious mesh pocket underneath the panel provides even more room for valuables, gloves, balls and anything else you need on the course. The Big Max IQ+ is available now with an RRP of £199.99 in a choice of black/red, black/lime, white/red or white/lime colour combinations.